In the Mesozoic, the time of the dinosaurs, from 252 to 66 million years ago, marine reptiles such as ichthyosaurs and plesiosaurs were top predators in the oceans. But their origins and early rise to dominance have been somewhat mysterious. New research published this week in the journal Paleobiology by palaeobiologists from the University of Bristol shows that they burst onto the scene, rather than expanding slowly into their ecosystems. 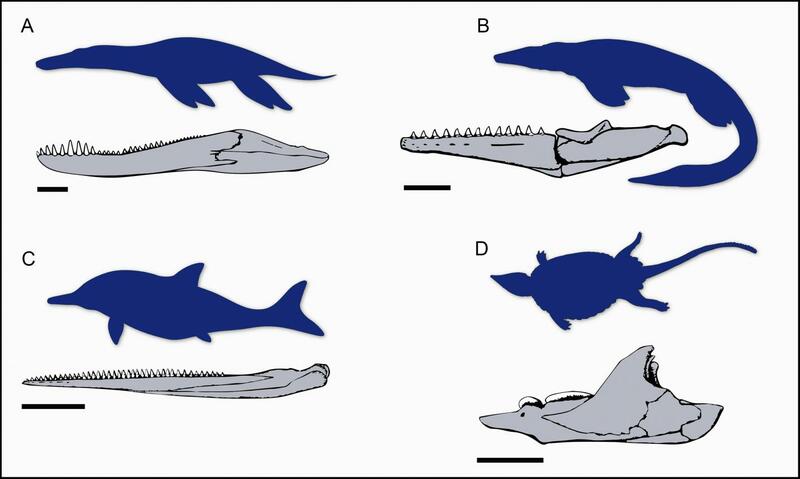 Lead author of the study Dr Tom Stubbs said: "We show that when marine reptiles first entered the oceans in the Triassic period, they rapidly became very diverse and had many morphological adaptations related to feeding on varied prey. Within a relatively short space of time, marine reptiles began feeding on hard-shelled invertebrates, fast-moving fish and other large marine reptiles. The range of feeding-related morphological adaptations seen in Triassic marine reptiles was never exceeded later in the Mesozoic." Co-author Professor Michael Benton said: "We always knew that the marine reptiles expanded relatively fast into a world in turmoil, after a devastating mass extinction event that killed as many as 95 per cent of species. But what was unusual was that they were inventing entirely new modes of life that had not existed before the end-Permian mass extinction. Our work shows they expanded into nearly every mode of life, indicated by their feeding habits and range of body sizes, really much faster than might have been imagined." 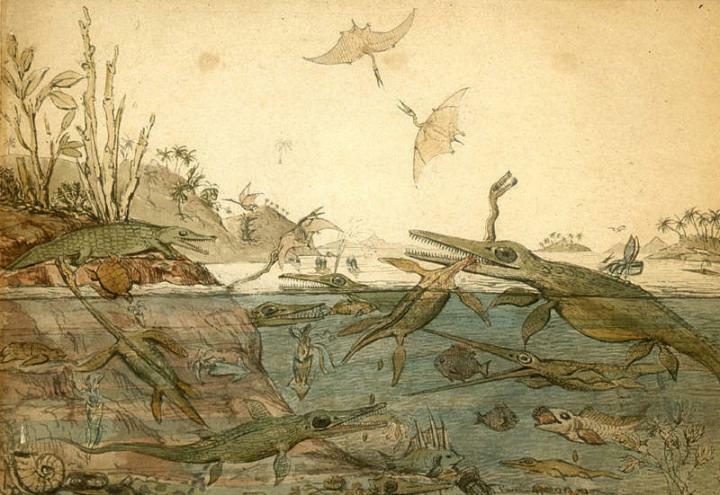 Intriguingly, just 30 million years after the initial marine reptile 'evolutionary burst', they were hit by a number of extinctions in the Late Triassic, which wiped out most groups. The new research shows that these extinctions removed many specialized niches and morphological adaptations, and had long-lasting effects on marine reptile evolution.